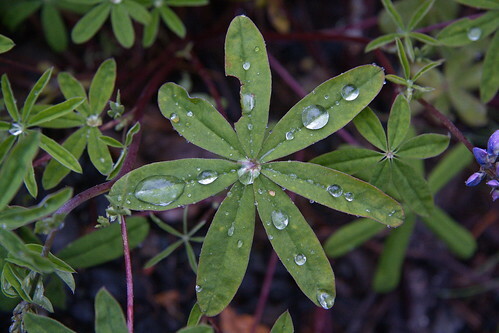 Rain-beaded lupine, a photo by The Bacher Family on Flickr. I found this beautiful rain-beaded lupine at Kautz Creek, on my way home from work one beautiful evening. I love the rich colors in the fading evening light... and am immensely pleased that I was able to hold the camera still enough to get such a good photo in such dim light!